Hemp legalization in America has rapidly become a legitimate political possibility, this year. House Majority Leader John Boehner – the most powerful Republican in the U.S. in terms of legislation – has indicated that he’ll work towards hemp legalization, something that Senate Republican Leader Mitch McConnell has already been working towards. McConnell, to the surprise of many, is the prime sponsor of legislation filed in the Senate to end hemp prohibition. In addition, Patrick Leahy, Chair of the Senate Judiciary Committee, a committee hemp legalization would be required to go through, has signaled that he’ll support a proposal to legalize hemp. This is huge. A national farm bill is going through the legislature which overhauls (mostly technical stuff) the nation’s farm industry. 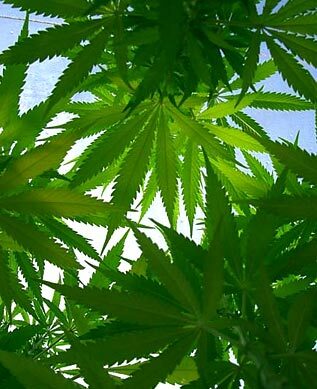 An amendment to end hemp prohibition – introduced by Democratic Senator Ron Wyden and cosponsored by McConnell and others – has been introduced into the bill. This may very well be the path of legal hemp, and could make it a reality by the end of the year, maybe by the end of the summer. At this point, it’s absolutely vital for individuals to contact members of the U.S. Congress and Senate – as well as the president – urging them to support hemp legalization (you can look up your district’s and state’s elected officials by clicking here). When you do, consider pointing to recent congressional research (which can be found by clicking here) which finds that America imports over $400 million worth of hemp products, yet absurdly maintains the illegality of its cultivation. The same research indicates that the hemp market consist of over 25,000 various products. When contacting your elected officials, make a special point to contact Senator Harry Reid, a Democrat who is the majority leader of the Senate. His support, or at least acceptance, of hemp legalization is crucial. Despite his Republican counterpart working towards such a move, Reid has remained silent on the issue. Those can contact Reid by clicking here. Regardless of how this all plays all, it’s exciting and inspiring that so much movement is being made to finally right a decades-long mistake. I agree with Terry (the commenter above) that this has “been a long time coming.” It shouldn’t be long now! Hemp legalization should happen. It’s been a long time coming.